I will need to exercise some self-control in writing this blog, or we could end up with a very long blog! 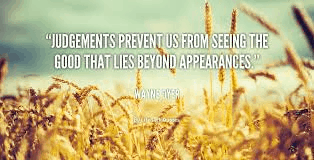 I learnt a long time ago to be less judgemental because working with people I know that not everything is as it seems. A large part of my work is helping people become more confident, increase their self-esteem and cover what I call ‘work of the self’. This is helping people to understand themselves better through uncovering their values and finding their identity so they can be ‘comfortable in their own skin’. The benefits of this are that they can be more confident in and live their life in a way that feels good for them. It’s much easier to make the right decisions when you know yourself and the world can see the real you. Everything changes. What happens when we judge others? So back to judging others… When we judge others it does two things. 1 – It holds that person up against our own values and beliefs. It has nothing to do with who they are! I’m going to give you some scenarios and I want you to just see what enters your head as I say these things. The thing is you don’t know anything about these people. They might be pure of heart or not, you don’t know. They might be generous or kind, you don’t know. They might be gentle, rich, poor, stressed, depressed, worried…..
Judging others does is puts thoughts in your mind which damage your self-esteem. I don’t know if you have ever seen the Rice Consciousness experiment, inspired by Dr Masaru Emoto but it’s fascinating. By labelling one jar ‘hate’ and the other ‘love’, the rice in the hate jar rots away while the rice in the love jar stays fresh. And this isn’t the only time this has been done. It has been done numerous times with different substances. So if you think bad thoughts, you will probably feel bad inside (even though you might not consciously connect this). If you think good thoughts, you will feel better. Simples. And when you judge others less, you will feel less judged yourself. Because if you haven’t having those thoughts about other people why would they be having them about you? Don’t go on first impressions. I know they are said to be important but they are just a snapshot of someone at one particular time. Everyone is multi faceted and different situations make people behave differently. If someone is suffering from anxiety or depression, you won’t see the best of them at that time. Check your words before they come out of your mouth.Just like you would check an email before sending it. Try and be kind. 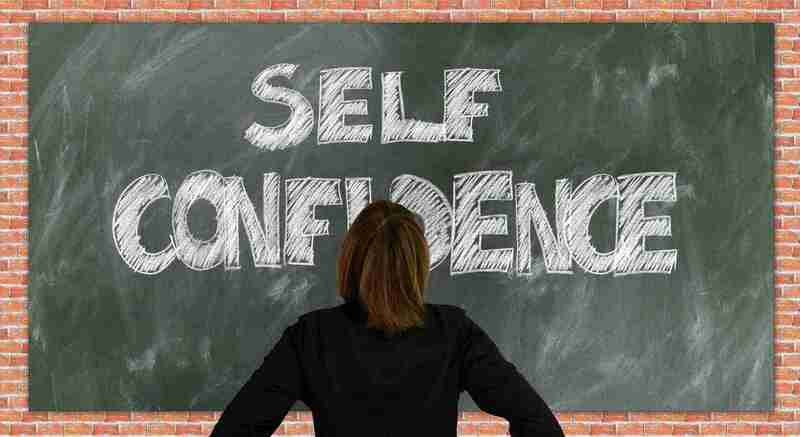 If you feel judged yourself, that is an indication of low confidence and self-esteem so please get in touch for a free consultation to see how I can help you. The highest rising demand for my services is with teenage girls. I’m finding they really worry about being judged in terms of are they cool enough, pretty enough, thin enough. Social media like Facebook, Instagram, Snapchat and Pinterest really feeds these insecurities and affects their self-esteem. I work with them to help them like themselves and become more resilient. Fantastic post Honey, really enjoyed reading this. 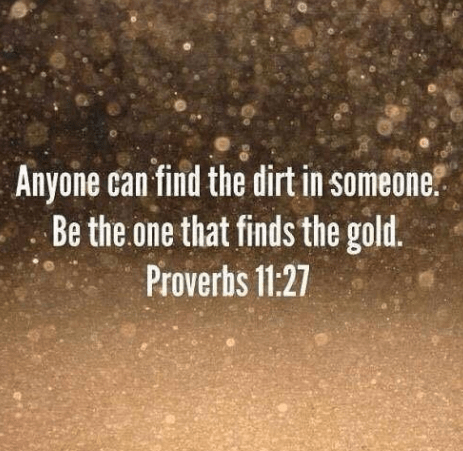 Find the gold in someone is just a great way of remembering, I have been on the receiving end of other judging me and its not nice either way. 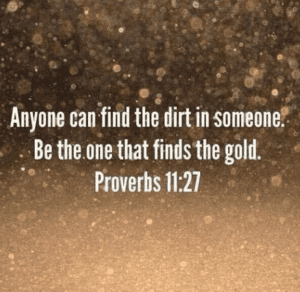 Nowdays surrounded by great people and positive influences looking for the gold is always easier. Honey, a great post. I remember watching the rice consciousness experiment last year, and it blew me away. Lots of videos of others that had done it – with the same result. Mind blowing! I have friends with teenage girls and they are under so much pressure, so your work will be so useful for them in learning how to like themselves. Hello Honey! I take it you grow the cress and then do the love/hate thing as per the rice experiment?